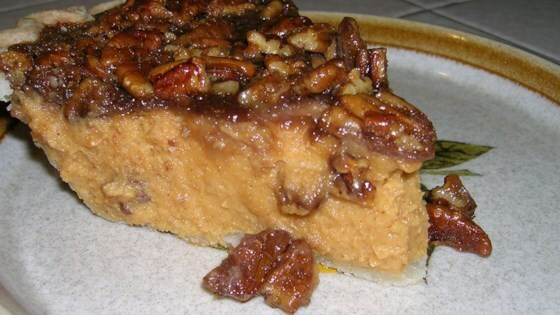 "This is a sweet potato pie with optional pecan topping. It uses sweetened condensed milk, as opposed to the more commonly used evaporated milk. Serve with ice cream or whipped cream. Yams may be used instead of sweet potatoes." Watch how to make classic sweet potato pie—it’s far easier than pumpkin. This was my first try making sweet potato pie. I found it to be easy and the pie was delicious. I would recommend it to all. everyone that ate it gave great compliments.